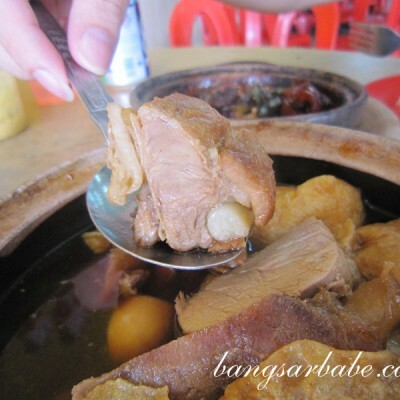 Plain cabbage, pork, prawns or seafood? 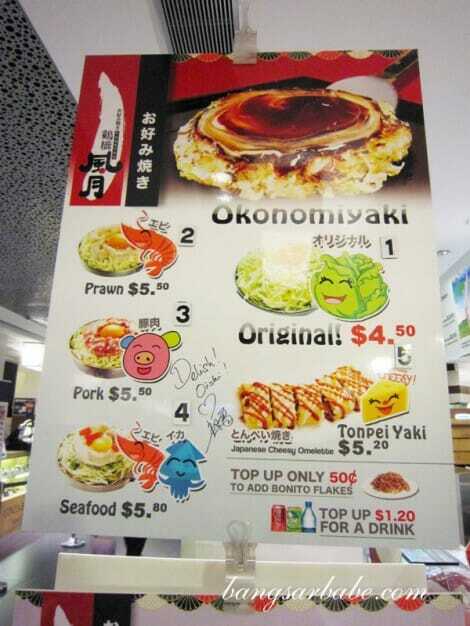 There is a choice of plain cabbage, pork, prawns or seafood to add into the okonomiyaki – I went for the obvious: pork (SGD5.50). The cook poured the flour batter, water and egg on the hot grill and while waiting for it to cook, he added cabbage shreds, scallions and your choice filling. He cracked an egg on top and waited until the pancake was properly cooked. The whole process took about 20 minutes. It doesn’t look very pretty because the auntie placed my pancake/omelet into the plastic container before I had a chance to snap a picture. 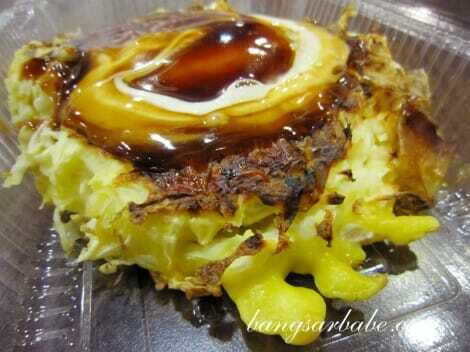 The sides were grilled till crispy and the centre was gooey and almost fluffy, like the centre of a good takoyaki ball. Minced pork bits were buried in there, giving the okonomiyaki a fuller bite. That said, I didn’t enjoy this as much as I enjoyed the takoyaki; it was tasty, but not exactly mind-blowing. 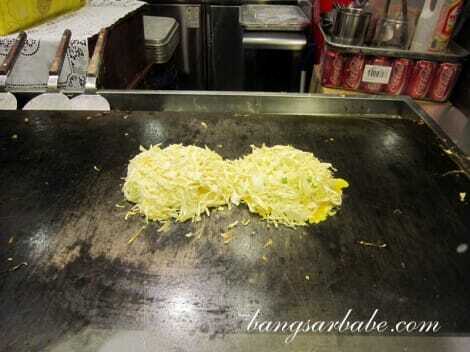 rif however, liked the okonomiyaki better so you’ll have to try this and the takoyaki to decide which one you like best. i think in this case, seafood would have been a better option. little pieces of prawns are much better to bite into than pork. I considered seafood, but the lady kept saying pork was their best-seller. Next round…next round! 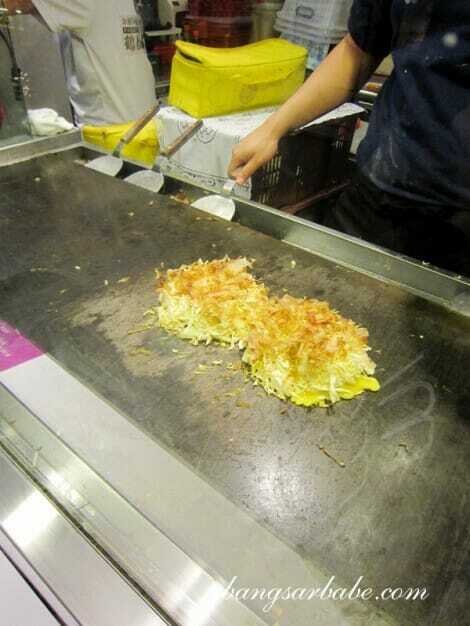 Hahaha…that’s going to be a monstrous okonomiyaki! Aiks…I guess Malaysians aren’t as big a fan? 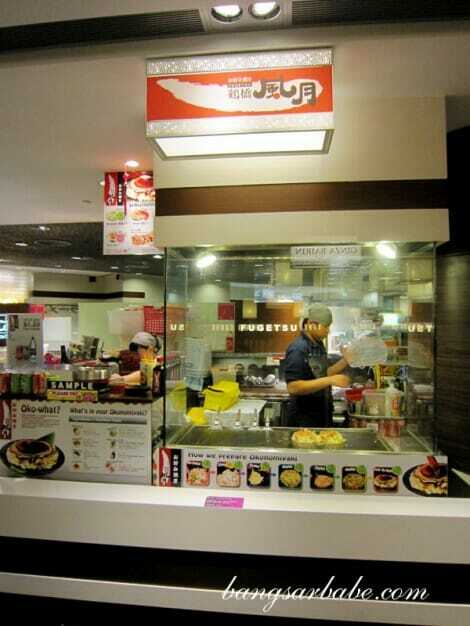 I like the one in Isetan too. It’s a relatively new dish for me, but I like what I’ve tasted so far. 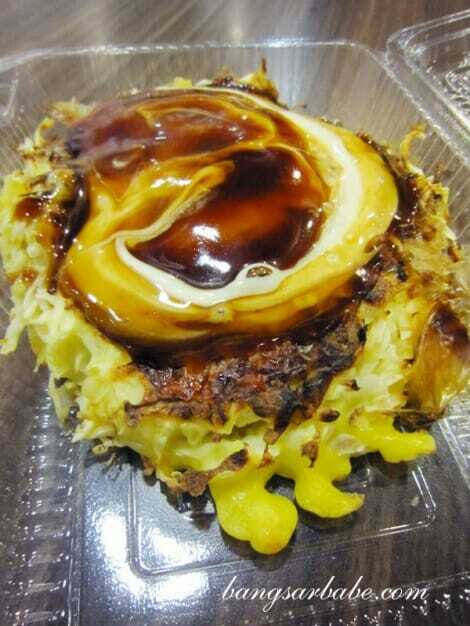 hmm another one of my fav japs food …..okonomiyaki..